Garden Grove, Calif. (June 4, 2015) – King Shocks announced today its new engineering and manufacturing partnership with off-road Imagineer Robby Gordon. Having already chosen King for his Stadium Super Truck platform and Dakar Rally vehicle “The Gordini”, Gordon will now implement his remaining off-road race efforts with King Shocks. 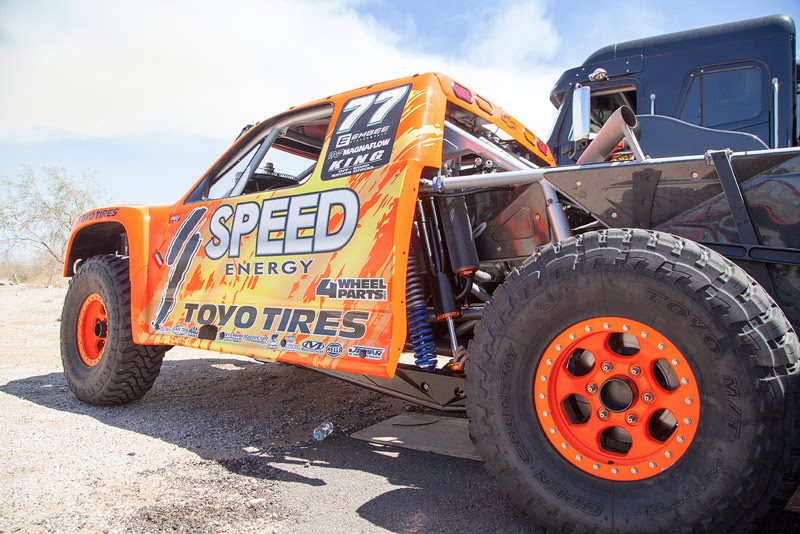 Gordon and King Shocks have been working closely for the past few months to develop shocks specifically for the #77 Speed Energy/Toyo Tires Trophy Truck, which makes its debut on King Shocks at todays qualifying for the 2015 SCORE International Baja 500. 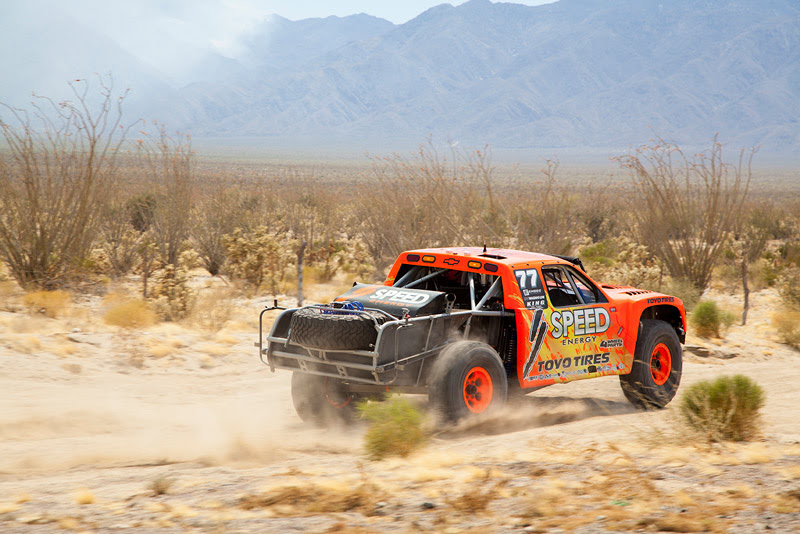 “Robby Gordon is the highest profile driver in American off-road and has represented our sport on a global scale, as both a driver and engineer. He has continuously pushed the limits of off-road technology throughout his career. He is a perfect addition to the King family and we are excited to see where the new partnership takes King Shocks,” states King Shock Founder and President, Brett King. Gordon will continue to contribute his knowledge and expertise to further progress King Shock technology, which will include a new line of Robby Gordon Speed Series King Shocks. The most accomplished and versatile driver ever to compete at X Games (yes, including RallyCross), Robby Gordon has done it all, from open-wheel to NASCAR to off-road. He is perhaps most regarded for his off-road accomplishments. He’s a three-time Baja 1000 winner, four-time Baja 500 winner and the winner of nine stages on the famous Darkar Rally. An ironman, Gordon also has pulled the incredibly rare double: racing both the Indy 500 and the NASCAR Coca-Cola 600 in Charlotte, NC, on the same day. 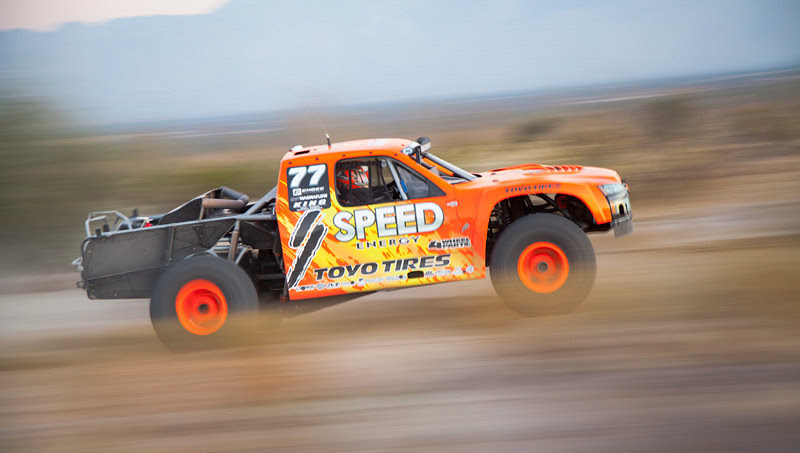 In 2013, Gordon created the SPEED Energy Formula Off-Road Series, modeled after the former Mickey Thompson Off-Road Championship where Gordon started his pro racing career as a teen.